Nothing can be more central to the healthy functioning of our economies than the investment in innovation of new products and services and the incentive systems that motivate them. For decades, Venture Capital (VC) has been at the heart of this story and yet as an asset class, especially outside the top 20 VC firms, returns have been weak. According to Cambridge Associates the 10 year returns on early stage funds was just 3.9%. Even later and expansion stage funds only achieved 9.3% which compared to the S&P 500 at 8.0%. This is despite the fact that VCs talk about a minimum respectable return for a VC fund being 20%. In fact according to a 2012 report called ‘We have met the enemy… and he is us’ by the Kauffman Foundation, itself a VC, ‘Returns data is very clear: it doesn’t make sense to invest in anything but a tiny group of ten or twenty top-performing VC funds.’ In aggregate the amount of VC money put to work each year is $25 billion but this is a tiny amount of money, less than 0.2% of US GDP. For comparison US capital market activity in 2013 was an astonishing $1.72 trillion and about 10% of US GDP! Despite this, according to the NVCA, that 0.2% has been crucial in creating companies that account for 21% of US GDP and 11% of private sector jobs. The question is how can we do better? How can we incentivise more innovation? By zooming out and analysing venture capital as just one of many societal incentive systems that can motivate technological progress I shall try to show that there is an astonishing lack of diversity in VC firms and their investment approaches. With the broader incentive system context being laid out in the first half of the essay I shall use the second half to try to, as systematically as I can, suggest alternative approaches that Venture Capital investments (and other incentive systems) could take that would not only lead to more innovation and the obvious societal benefits of that but also better returns to investors. 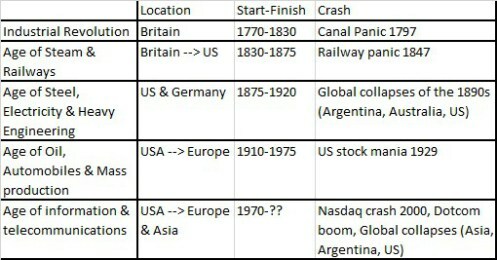 The following tables try to break down the major institutions we have in the West (i.e. democratic welfare state capitalist societies) that can be expected to help our societies innovate. These major institutions are made up of companies, Government, non-profits & universities. Sometimes it can be easy to get trapped into the norms of a given society or way of thinking about work but it is worth pointing out that the profit motive (whether for labour or capital) as the primary incentive for people to work and create value has been a relatively new phenomenon. Throughout most of human history slavery has been remarkably widespread and widely used. Slaves it is worth pointing out were driven not by the ambition of getting promoted or accumulating wealth but fear of physical punishment. In fact, it was genuinely believed that societies would not be able to function without slaves because who would do all the low-skilled difficult jobs? As an example, last year I visited the Terracotta warriors in Xi’an (西安) which are an awesome sight to behold. It took 720,000 workers, many of these highly skilled artisans, 37 years to complete the project. This was the burial site of the emperor and so its location or even its being built was a complete secret. And yet according to our guide, from a population of just twenty million almost three quarters of a million people were employed on the project, many dragged from their homes in the middle of the night with their families never hearing from them again. Although for modern western eyes this is an appalling breach of peoples’ rights it is worth pointing there is a trade-off, a terrible one, but a trade-off nonetheless and I suspect it can be reasonably be argued that without the disregard for human life and freedom that Ancient Egypt and such societies had then great wonders like the Pyramids would not have been possible. In fact throughout most of human history even those agricultural workers who weren’t slaves their incentives to work were not financial, at least not in the modern sense, but instead just survival for one and one’s family. Religion has also been an incredibly powerful incentive system. To consider the great churches like Westminster Abbey compared to the resources and capabilities of their age is truly incredible. And certainly it is hard to imagine modern western countries ever being able to embark on ventures of the scale of the Crusades in the Middle Ages. It is worth pointing out its modern equivalent is truly impossible to comprehend as it would involve all the leaders of the free world not only financing repeated expeditions to Mars for the glory of God but actually having those leaders, Barack Obama included leaving the countries they were governing. Richard I, the Lion-heart of England as an example spent possibly less than six months of his reign actually in England! The first type of incentive systems that we shall consider are financial ones which can be divided into big companies, small companies (i.e. start-ups) and prizes. Companies, whether big or small, are almost always driven by financial incentives. Big companies, especially those listed on a stock market, are focused on optimizing short-term profits, where optimization by quarter is probably unfair but certainly over 3-5 year time horizons. You would certainly expect it very hard for any CEO, outside perhaps Jezz Bezos of Amazon or Jack Ma of Alibaba, to post year on year losses without losing his job. This tends, to lead to cumulative marginal improvements in the products and services with much of the effort focused on expanding market share. The institutional structure is one of diversified power where boards and hierarchical management are, as far as I can tell, organised so that no one person can become too powerful and therefore do something stupid. It is easy of course to be cynical but from a company with a dominant oligopoly or even monopoly in a mature market where true innovation is likely to be into very new product groups with huge capital expenditures and very high chance of failure this is a good strategy. However, it does mean that from a societal stand-point big companies who often, in terms of balance sheet at least, are best placed to innovate and build our futures are the least likely to do so. In fact, in an interview with Charlie Rose Bob Lutz, then CEO of General Motors, said it was embarassing that General Motors with the billion dollars it spends on R&D every year was unable to do what Elon Musk with a shoestring budget in California was able to do namely build a compelling electric car. The standard narrative then is that innovation will come from start-ups and in particular the Silicon Valley-based, VC backed start-up. But I would argue that there is little differentiation in VC investment strategies which explains the limited returns because there are only a limited number of companies that will work in the current investment environment (software-based platforms) which through simple selection bias tend to gravitate to the best 20 firms. It is easy to feel like there is a great variety in the investment approaches because look, according to Mattermark, in 2014 there was VC money in healthcare, education, finance, hardware, enterprise software, marketing, social networking, cloud computing, entertainment etc. How could you get more diverse than that? What is hidden is the nature of the start-up that is invested in particularly there is a high likelihood that is it software based where, initially at least, there is limited labour or capital investment. According to Mattermark, in 2014 $50bn (admittedly twice the PwC data) was invested in 5900 companies. This sounds like a lot of money but on a per company basis this averages out to just $8m per company. Compare this to Qin dynasty China where 3.8% of the population worked on the Terracotta warriors for almost forty years. A useful metric to think about this could be what percentage of resources a society can direct towards a big, expensive long-term project. Imperial China by our previous measurement is about 5% (consider working-age population) but it would be unimaginable for the US to embark on a similarly grand project such as colonizing space or curing Cancer. And this despite the fact that these projects would have offer some utility to the general populace! Whereas the Terracotta warriors did not (they were secret remember)! We think much of the problem has to do with the assumed and universal investment structure of seed-angel-venture-IPO which is so part of the accepted status quo in business practices that it is not even questioned. But as we shall see when we explore the hidden assumption of the current VC approach I believe, that it is possible, whilst still working within the restrictions and requirements of a capitalist system to make big bets on big risky projects not only work but also have that investment in innovation be profitable. The final category is prizes. A clear working example of this is Peter Diamandis’ XPRIZE. What is most exciting about this form of incentive systems is that it is clearly not a purely financial one. In fact, taking the ‘Ansari XPRIZE for Suborbital Spaceflight’ as an example the winning team received $10m but more than $100m was invested in new technologies in pursuit of the prize. As Diamandis’ himself said what is coolest about the incentive structure is that it is a very efficient, you only reward the winners and yet at the same time you incentivise an (almost systematic) attempt of all the major ways a problem could be approached. This is in comparison to companies where often times multiple attempts at a problem, are just that, multiple attempts, rather than really different approaches. Diamandis’ HeroX is an attempt to broaden the impact and democratize prizes as a platform. I suspect the big problem with prizes is the prizes are funded almost entirely by wealthy benefactors. Similarly a lot of the attempts to win the prize are similarly funded (e.g. Microsoft’s Paul Allen funding the winning attempt for the Suborbital prize) so it is questionable whether this really would provide a very different incentive system to the VC world and non-profit world that already exists. Especially as the societal status of ‘winning an XPRIZE’ would inevitably lessen the more prizes there are. Although to be fair to Diamandis he specifically chooses the XPRIZES such that he thinks they will lead to a commercial product afterwards. Fortunately, we have multiple incentive systems for innovation outside the purely profit-seeking. The university system has for more than a century been a source of progress in science and technology, especially when the efforts are still far from a product that can be directly commercialized. Academia has powerful incentive mechanisms particularly those around working up the graduate, post-graduate, professor, tenured professor career ladder where the social prestige of, in the extreme, being a Nobel Laureate from Harvard University can compete with much greater financial packages from the corporate world. In the context of societal-level innovation though academia seems to have three primary problems. The first is that academic research, particularly in science and technology, tends to be under-funded and uncoordinated. In particular because the rewards, (degree, pHD, professorship, Nobel Prize etc.) are all to the individual, not to the collective (unlike say a company) I think this prevents coordinated action on big societal problems like space travel or curing cancer. Admittedly, there is a strong culture of colloboration within academia but perhaps the idea of a ‘group pHD’ where 20 scientists work on big intractable problems for periods longer than the standard 4 year pHD would make sense. Maybe it could be a 2nd pHD of sorts. The second problem is that academics have teaching and lecturing commitments which distract from the research work. Of course, it is exactly this source of funding which allows for the pursuit of research which may not have immediate commercial benefits but clearly solving some of the big problems in technology are hard enough let alone if you’re doing it as a part-time job. Finally, there is the problem that because academic research is not always of ‘value.’ Of course, this is one of the strengths of academia because after all there is more to life than making money. And actually oftentimes innovation is difficult to predict so one can think of academia as a series of (relatively) small bets on the advancement of lots of subjects, some of which are more useful than others. Nonetheless there is evidence to suggest that as much as 90% of business school academia literature is not only not widely read but furthermore no one is willing to pay for it. Companies, on the other hand have seeking profits as a forcing function to make sure they produce something of value or otherwise face bankruptcy. I have two ideas on how to restructure government towards this aim. The first is that every term the President would be able to direct say $50 billion dollars to one big, risky innovative project to try and work towards solving one of the great societal problems. The President would be able to choose the project as he sees fit without needing Congress’ approval but with publically available information and the implications for the President’s legacy I suspect that there is unlikely to be a lot of corruption of Government inefficiency. The other suggestion I have would be for the four year political cycle to be changed to an eight-year cycle or longer. Sometimes, it is easy to forget that America is not a pure democracy, for example a political process where there are Presidential elections every year rather than every four years would be technically more democratic but no one would argue for this because of the clear instability and wasted time and resources spent on getting elected this would require. The natural fear is that a Hitler-type figure would appear but it is not clear to me, from a first principles stand-point, that 4 years is the optimal period and that six years would necessarily lead to a massively higher risk of dictatorship or corruption and thus it may be worth it, if it allows our political leaders more long term thinking. This is particularly important if future innovations, as I suspect they do, require increasingly large capital expenditure because all the ‘easy to reach apples’ have already been picked. There are other incentive systems that I would include under the ‘cause’ banner and these include charities and non-profits. Although I clearly think they are valuable to society as they can help equalise some of the inequaliites in the world, particularly sharing basic healthcare and food products that companies don’t provide because they can’t make a profit, I would argue that non-profits do not have the resources to work on the big intractible societal innovation problems. Additionally, non-profits have a tendency to suffer from inefficiencies including a bias towards the emotionally payoff of helping someone in person (e.g. visiting an African village and building a well oneself) rather than more scalable and impactful solutions. Founder-led companies are an interesting new class of companies because they are those that are not driven by immediate short-term profit optimizations. Classic examples include Larry Page at Google and Elon Musk at Tesla and SpaceX. The only problem with these companies is that they are not scalable and from a societal stand-point they require an unreasonably high barrier to entry, namely they require talented people to not only make hundreds of millions of dollars but also for those people to be willing to risk all that money on ventures that will, in all likelihood fail. If a society we require once in a generation Elon Musk type characters to drive our societies forward I think our chances of innovating a lot in the future are not very high. Having said that though, at a cultural level I think the examples of CEOs like Elon Musk and Steve Jobs are potentially very influential where, especially if coupled with a more top-heavy power structure in standard corporations could lead to more innovation in our societies coming from big companies. Especially if CEOs start thinking about their legacies at the company rather than purely making investors happy on a quarterly basis. The final category that I think is worth including is the attraction of fame to attract talented people. Just consider the number of people who are drawn to LA every year in an attempt to try and become actors. The big obvious problem with fame it is, almost be definition, unscalable where even for a corporation of the size and success of Apple few names outside Steve Jobs and maybe Steve Wozniak and Jonathan Ive are well known. Having said, that I think culturally there has been a shift where examples of entrepreneurs like Mark Zuckerberg (and the Facebook Movie) as well as entrepreneurs like Elon Musk have made the idea of founding a company not only more mainstream but also more aspirational. No doubt the idea of extreme wealth in your twenties is incredibly appealing to a lot of people and hopefully this is attracting more talented people to try and build companies. To maximise future technological progress I think Venture Capital should evolve to include approaches that are 1) more long-term 2) invest more resources 3) more deterministic. Of course, that will only happen if these approaches can be made to be profitable. I think there are two main ways that this can be done 1) tranching risks, 2) layering incentives – in particular rewarding partial success. The current VC approach is guided almost entirely by the assumption that most startups will fail but the few that survive will succeed in extreme ways. This is best summed up by a slide from Ben Horowitz of legendary Silicon Valley VC firm Andreessen Horowitz where he shows that historically only a limited number of the 200 or so VC-backed companies every year (themselves just a few of the thousands of companies with seed funding etc) will ever make any returns for their investors. As talked about extensively in a great article by Founder Equity’s Joe Dwyer the common rule of thumb for venture outcomes is that 30-40% completely fail, another 30-40% return the original investment and 10-20% produce substantial returns. However, according to research into more than 2,000 VC backed companies by the Harvard Business School’s Shikhar Ghosh the actual numbers are closer to 30-40% return nothing as assumed, but as many as 75% don’t return investor capital. More starkly if failure is defined as failing to meet the projected return on investment than more than 95% of start-ups fail. This it should be pointed out are for companies that received at least $1m in VC funding so with failure this common in the later rounds, the picture is even worse for the seed rounds. There are two ways to interpret this I think. One is that VCs have learnt from the lessons in the past and have just gotten extremely good at picking the winners, which has lead to the convergence in investing strategies in the top firms. The alternative interpretation, is that they have overlearnt the lessons of the past. A good test for this I think is are there any big successes they almost missed the boat on? I would argue there are, Airb’n’b being the classic example. In fact, it is exactly this idea of over-adaption and complacency in the allocaiton of capital that economist Carlota Perez talks about in her book ‘Technological Revolutions & Financial Capital.’ The question then is what will the new paradigm, the financial allocation systems of the next wave of technological revolutions look like? The best way to change venture capital is to fundamentally change the percentage of companies that succeed. I think VC is probalby suffering from a case of over-adaption, over-learning the lessons of the past. Quite obviously is you believe that most companies will fail than your investment strategy will be to invest small amounts in lots of companies. This is despite the fact that there may be a whole class of companies out there, particularly those that are capital intensive, which may require more money up front but actually have a much better chance of return. What you probably need is more examples of Elon Musk type companies where a $100m investment has given returns on a $10bn order of magnitude. The key idea behind tranching risks is breaking a very risky bet into separate less risky bets. The reason for this is that investing in start-ups becomes about making a series of very risky bets all at the same time. You are betting that you’ve not only picked the right industry at the right time but also that you’ve backed the right time. A good comparison is the movie industry where the well known rule of theory is that studios will take a risk on one but not more than one of the director, the script and the lead actors.’ Venture capital on the other hand is about trying to pick a winner when you have an unproven team, an unproven idea and an unproven market. This, unsurprisingly, is really difficult to do, in fact Warren Buffett of Berkshire Hathaway actively avoids technological stocks exactly because he has no idea how to pick the winners. I should put out that if the greatest investor of your society doesn’t like to invest in innovation or innovative technologies but actually the complete opposite that is a clear warning sign that there is something fundamentally wrong with the incentive systems in your society. As Andreessen has himself said you can think of the different rounds of Venture Capital from seed on through as basically the start-up slowly eliminating investment risks. In the early rounds death can come in many forms and so investment is understandably small and only for a potentially high return. Through each round, team risk, technology risk, business risk, timing risk are slowly validated and the lower risk attracts more financial capital. The problem as we have discussed is that this greatly limits the type of companies that get invested in. So one approach is, right from the outside to try and separate out, or ‘tranche’ the different risks. If you can isolate say just the technology risk or just the team risk then you can attract more capital to invest because you are going to fit more investors risk-reward appetites. A lot of investors that have views on an industry being successful, maybe it’s biotech, maybe it’s drones, find that there is no way to make that bet without making something which becomes the very dangerous VC bet which is not only a bet on an industry but also the specific timing and team that will succeed. Like Buffett many investors don’t how to pick, and to be fair the data would suggest VCs don’t know that well either. Reading Michael Lewis’ ‘The New New Thing’ which is about serial billionaire entrepreneur Jim Clark gave me an idea of how it might be possible to make this bet. Jim Clark is exceptional in many ways but perhaps most significantly he is the first person to found three separate billion dollar companies. The first of this was Silicon Graphics in the 80s that invented 3D imaging in computers. Although largely forgotten now, it was the Google of its day attracting all the best and brightest people. That company ended up eventually failing but what is interesting is much of the talent that worked with Clark at Silicon Graphics eventually just transferred over to his second billion dollar business: Netscape. Which of course took Marc Andreessen’s Mosaic browser and helped open up the Internet. However, caught in a war with Microsoft Netscape lost and it too died (technically it was bought out). Interestingly, much of the talent that had transferred from Silicon Graphics to Netscape transferred again and now work at places like Google and Facebook today. Incredibly Google’s offices in Mountain View are built on the same site that Silicon Graphics occupied 20 years earlier. The lesson then is clear: companies come and go but the talent sticks around. And as we just mentioned in some cases literally to the same location! The obvious idea then is that you tranche out the start-up risk by investing in top talent. To take an example, suppose an investor you believe that AI driven drones are going to be the next big industry but are not sure specifically which company will come out on top. What you can do then is invest, not in a specific company, but rather top experts in AI drone robotics. As an example a drone pHD from MIT would trade a percentage of his 25 year income stream (including equity) in return for a guaranteed income stream over that time. It’s financial equivalent would be trading a variable rate of interest for a fixed rate of interest. The thinking behind it is from the pHD’s perspective this guaranteed income stream means that, even for a more risk averse person (whose opportunity costs might include becoming an academic or working in a big corporate), you are going to get a guaranteed income stream no matter what. In return, the investor gets to make the long-term bet that even if the first few drone companies our imaginary MIT pHD join go bust eventually, because he’s a top drone expert, he will find his way to a top tier company and earn the appropriates awards to go with that. You can almost think of it as indirect diversification where traditional diversification is over multiple companies, where if you assume just a few winners for each given industry you are almost guaranteed some losers, investing in experts allows diversification over different companies over time where as top experts are likely to have at least some sort of income there will never be zero returns. Of course, it would be worthwhile checking all these numbers, and having proof of concept but these seem to me to be a fairly reasonable starting point. The returns are not stellar but this is the assumed worst case scenario where essentially the first two companies that the pHD picks are bad ones where they don’t work out. Of course there would be a certain percentage of pHDs who would perhaps give up on working for a startup, maybe rejoining academia but putting tracking costs aside it is highly unlikely that more than 10% of all investments would return zero. It is also worth noting that underlying all this is the assumption that the industry works out, this is exactly what the investor is making a bet on of course but the fact that that bet is not guaranteed would of course affect the risk returns. Having 5% compound interest for 25 years with a fairly low risk profile seems like it could be an attractive offer from the investors point of view. From the perspective of the pHD clearly $20,000 is not enough to live off of but it is worth pointing out that for incentive reasons they would also be drawing a wage from the start-up that they are working at. What is not clear is the indifference curve of the pHD so research would clearly need to be done in terms of what kind of numbers would incentivise pHDs who other wise might choose safer options to join a start-up. In particular, research would need to be done into what percentage of equity and income would make sense to both the investor and the pHD. What percentage of a launch vehicle (rocket to space) do you think is the cost of labour? It’s about 80-90%! It’s labour! So if with this structure you can essentially convert future equity (across potentially multiple companies) and future income streams and halve the wage bill and therefore the start-up costs of more capital-intensive industries I think you fundamentally change the numbers on what types of investments and how much money initially other investors in start-ups can make. So along the lines of the tranche idea you can have two funds, one which is less risky investing in experts in an industry and the other which invests in the specific companies covering the capital costs. The net result is not just good I think for all parties involved but also society as well because projects that in the current capital environment that don’t get funded can now get funded. The last counter-intuitive is the way to get start-up ideas is not to try and think of start-up ideas… if you make a conscious effort to try and think of start-up ideas you will think of ideas that are not only bad but bad and plausible sounding meaning that you and everybody else will be fooled by them and you’ll waste a lot of time before realising they are no good. The way to come up with good start-up ideas is to take a step back. Instead of trying to make a conscious effort to make start-up ideas turn your brain into the type that has start-up ideas unconsciously in fact so unconsciously that you don’t even realise at first they’re start-up ideas. This is not only possible, Yahoo, Google, Facebook and Apple all got started this way. None of these companies were even supposed to be companies at first they were all just side-projects. The very best ideas almost always have to start as side projects because they are always such outliers that your conscious mind would reject them as ideas for companies. However, I think Graham’s thinking has been skewed by the fact that he has overwhelming been exposed to and therefore learning from companies that were internet based and very dependent on product-market fit. This is difficult to predict up front and therefore the lesson is don’t try and be deterministic about choosing your start-up idea. However, in other arenas determinism is likely to work very well, in particular if you consider the trend of automation you could have a fund that invests in robotics or machine learning pHDs that are looking at building companies around automating labour. Google is obviously already working on number five truck drivers and number three is being attacked with self-checkouts. Number seven is being attacked by Homejoy. My basic idea is to simply try and automate or at least greatly increase the productivity of workers in these industries. You could take this further than simply informing an investment strategy but actually have the robotics or machine learning engineer spend three months working a few of these menial jobs to help inspire them to come up with ways to automate them. The idea that most excites me is investing in university students. The investing in experts is compelling and would have a more direct impact on the VC world but the numbers aren’t that good and I worry that there are a lot of moving parts. Plus it is so counter to traditional venture capital’s approach that it would probably be difficult to get off the ground particularly as industry bets would only really work at scale. A variation of this is to allow poor but talented students, particularly those in Asia, Africa and Latin America to go to university but in return the students would pay back the investors a percentage of lifetime annual income. The key numbers in this would be 20% of lifetime income which is assumed to be $30,000 which is arguably quite a conservative bet. Meanwhile the initial investment paying for university fees and living expenses is assumed to be $20,000 for four years. This seems like a very low number but education is much cheaper in the developing world! Additionally, for incentive reasons you may want to have the students partially pay for themselves with part-time jobs etc. Considering all sides. First from the student’s perspective the choice is either go to university and earn $24,000 (after removing the 20% that goes to investors) or do not go to university and earn $15,000. Of course it is going to be very imporant to be careful how the investment is publicised because taxes on lifetime income might be misinterpreted as some sort of slave contract. However, from the student’s perspective there is a clear benefit in going to university. What is unclear is what type of student would benefit most. Is it the student that is so credit-constrained that the choice is university or no university? Or is perhaps the students whose choice is living at home and attending the local university versus going to the best university in their country? Or finally perhaps the numbers work best for the student whose choice is best national university or university abroad in America or Europe? It is possible that university students, even those in America may feel that converting the university debt into a variable percentage of income is attractive because it acts as an insurance against bad outcomes or allows the student to take more risks in choosing their careers. The big advantage of an income tax as opposed to fixed debt is that in bad times you pay less! Of course in good times you would have to pay more but for risk averse students this may be a bet worth making. From an investors perspective I think the idea is potentially extremely lucrative. Unlike the invest in expert idea which requires constant negative cashflow investing in university students requires only a very small short-term bet with potentially huge long-term returns. Numbers even approach 7.6% annualised returns over 30 years are nothing short of outstanding. And if you conservatively half that number to take account of management fees as well as the inevitable % of students who are untrackable it still has the potential to be a very attractive investment. Taken to an extreme you could imagine putting tens, even hundreds of milllions of people through university this way. There are several aspects of this which are incredibly exciting. One is that if you had say three hundred thousand people on your books spread over thirty years. That means every year you are putting four year groups of 10,000 students (300,000 students divided by 30 years) for $5,000 a year of university. That adds up to $5,000 x 4 years x 10,000 students = $200m a year. Which seems like a huge amount but consider how much you would be taking in. You would have 26 years worth of students earning the assumed $30,000 a year where you are getting 20% or $6,000. Therefore the investors annual return would be an astonishing 260,000 students x $6,000 = $1.56bn. What I think is potentially most interesting about it is what could be done with that type of money. For example for a VC firm making $1.4bn every year thirty years at a time in profit the type of VC investments that would be possible are truly astonishing. Suddenly investing $100m over a ten year span does not seem as risky. And in fact, in addition to choosing the best young university students (initially you could actually pass the selection costs onto the universities where you choose who you invest in purely based on what university they have gotten into) you could even choose students by subject. So again you could look to make a bet on a particular industry that you think might do well. For example you might believe that Indian software companies are the future therefore rather than investing $30m in a few software companies why not put 1,500 Indian software engineers through university? You could even think about founding universities in developing countries where for students who get in the university fees are free but in return the university gets a percentage of lifetime income. What is interesting about this is it provides a potentially very lucrative funding model for universities and it may lead to a greater alignment of university and student incentives. Finally from a societal stand-point I think this would be hugely beneficial. In economics there is much talk about the unpriced environmental externalities or the market failures from monopolies or problems with government failure and corruption. But I would argue the single biggest waste of resources is the brain power in the developing world that because of the lack of high quality education systems is being wasted. What force for bringing about world equality through economic development in developing countries could be more powerful than say putting a billion people through university this way. The reality is families, governments and charities are unable to fill the gap in funding but perhaps this type of investment could. One critique has been the world doesn’t need another ten million software engineers! I.e. there is a zero-sum/signalling rather than human capital nature to university education. I think the obvious response is that if our economies can’t evolve to employ billions of people in high skilled jobs in the future then we have much larger problems on our hands. In the short-run and for less than a million students it seems likely that the effects on the world economy will be purely positive because even if it just a zero-sum game the world output would still be increasing because you are basically replacing the bottom million students from Europe and America with the brightest million from Asia, Africa and Latin America. Finally one big advantage of this idea is that it could work even at a small scale. Thus you could, for limited risk (50 students perhaps?) test the idea and see what kind of returns you get. The idea behind layered incentives is rather than just having a single positive incentive force you have multiple. In practice this means making sure there are additional incentives like fame, competition and respect on top of the usual financial incentives. Part of this involves restructuring the returns such that even partial success has some positive returns. The assumed nature of innovation in the world of atoms is that you require a lot of investment which, after some time may or may not yield an economic return. Understandably very few venture capitalists are willing to make investments of this type because they are very long-term, capital intensive and (unless Elon Musk is in charge) have a very high probability of failure. This picture of technological progress, though is probably inaccurate. In fact, technological progress is often the accumulation of small breakthroughs which collectively lead to a commercially viable product. The crucial constraint is that the the breakthroughs need to be made either simultaneously or in a very specific order and individually do not have a commercial return. Only when integrated together into a final product to have they have any market value. A good example of this might be how advanced mathematics slowly builds on itself but often has extended periods of breakthroughs where there is very limited commercial value to the ideas. In fact, Elon Musk argues that integration of not only the technological progress but even the manufacturing is absolutely vital: at least when it comes to make rockets and electric cars! ‘I think if you think of manufacturing not as some boring process of making rote copies but rather the manufacturing system that creates the car is itself a very complex machine and just as innovation applies to the design and engineering of the car you can apply and should apply innovation to the machine that makes the machine and you can come up with some really cool new ways to manufacture a vehicle. And I also believe in having a tight feedback loop between engineering and production and so if production is far away from engineering you lose that feedback loop. And so someone who designed the car in a particular way doesn’t realize it is very difficult to manufacture the particular way that it’s designed but if the factory floor is 50 feet away from their desk then they can go out and they can just see it and it’s obvious and they can have a dialogue with the people on the floor. And likewise a lot of people on the manufacturing team have great ideas about how to improve the car but if they’re far away they can’t communicate that to the engineers that designed it. So I think that it’s something that is often neglected but having that strong bi-directional feedback loop between engineering and manufacturing is really helpful in making the car better, finding efficiencies and lowering the cost. The problem with all these narratives of innovation is that they are not very investment friendly. One working model for this type of innovation is university research where expectation of economic return is removed and technological progress is pursued purely for its own sake. I suspect though that this, at least for capital intensive projects, can lead to chronic under-funding. Another model that has worked is government, especially government at war, but western welfare democracies are increasingly incapable of making such investments. Perhaps for this reason it will be countries like China (in a rivalry against India?) that will be the future source of technological progress. A third model that has worked is one driven (and very wealthy) individual. Classic examples would be Elon Musk with Tesla and SpaceX or Larry Page with self-driving cars at Google. Neither could have realistically expected any economic return but they persisted because they felt it was important enough. Despite all these models to achieve innovation, from a societal stand point, what you really what is to figure out a way to align the for-profit motive with technological progress. That way innovation in the world of atoms should really take off. Up until now I feel that investors have been very unimaginative. They’ve forced technology to fit the financial needs and desires of investors, who have limited time horizons and risk appetites. This has lead to lots of investment in the world of bits but very little in the world of atoms. Of course, these preferences are unlikely to change so the question is can we more creatively mold the requirements of the investment world to match the true nature of innovation. Or perhaps, more accurately, mold technological change to match the investment appetites of venture capital. My key assumption is that there are a significant number of technological breakthroughs that can be not only pursued individually but are crucially not very capital intensive. This however is not enough because if you need all the breakthroughs to be made to have an economic return then in all but definition you have the same situation as before where you need a lot of technological breakthrough and investment before you can get a return. The key then would be not only breaking up technological progress into independent components but also having each of those breakthroughs be individually lucrative. Perhaps after each of the breakthroughs you would still need an investor to come along and integrate all the breakthroughs which in turn would be its own investment risk but at least by breaking it up you can reduce the risk somewhat. If the above is an accurate model of at least some types of technological progress then suddenly you could imagine a successful venture capital firm in the world of atoms. The key question, of course, is what possible economic return could exist for small breakthroughs that, in themselves, do not have a commercial value? The obvious answer is patents. And in fact, rather than waiting for entrepreneurs to pitch projects as is done in typical venture capital you would proactively pursue projects with the patents as your exit strategy. You might want to specifically target breakthroughs that would be valuable in multiple industries or perhaps you might want to target a cluster of related breakthroughs. Even if of the six targeted breakthroughs only three were successful you might still be able to sell to a more established company the three successful patents because with half of the work done, the calculus might be sufficiently changed for the established company to risk investment in a expensive, long-run project. My current bias would be to invest in pHD students right after they’ve finished their pHD and about to entire the workforce. I spent the last year studying at Tsinghua University in China and extrapolating from the admittedly limited number of conversations I had it seems to be a common experience that pHDs would after four years only make partial progress on a project. Certainly enough to warrant a pHD but not enough to qualify as a working prototype. For example one pHD I met had invented a filter that could be attached to any petrol car and dramatically reduce the amount of greenhouse gases emitted. The problem was he couldn’t get it to work in extreme cold and extreme hot conditions which meant that when he had negotiations with big car companies to purchase and work on his idea they weren’t interested because they didn’t want to make standardized adjustments to their entire fleet if they couldn’t then sell those adjusted cars in cold Russia or hot Africa. It is worth mentioning that this particular pHD had won numerous awards for being one of the top ten pHDs in Asia and yet even he couldn’t get funding. He is now trying to find a job in a big petrochemical company but frequently complained to me that there are much fewer roles available at pHD level compared to Masters and that even though he would be willing to start lower down the organisation companies are not interested. He even confided that he regretted doing his pHD and felt it was four years wasted. Another pHD, this time from Cambridge University in the UK, complained that his research was underfunded and he was often working by himself or with just one assistant to help him. He is now going to work for a consultancy firm. Therefore my idea is there may be a great untapped resource of potential technological breakthroughs that pHDs at university almost but don’t quite make. Crucially given just a bit more time and a bit of investment a good proportion of these projects might yield an economic return. You could cherry pick the best pHD projects and you would have something tangible to judge each potential investment against. One of the problems with investing in online start-ups is that it is very difficult to judge an idea by itself, often times things that seem trivial will take off and seemingly great ideas will find it very difficult to get traction. Furthermore, because they require relatively little expertise, just a few average programmers with a great idea can build a successful business it is difficult to make judgments about which teams will be successful and which won’t. This has led to a bit of a spray and pray approach to investing. By investing in pHD projects you would have four years work to evaluate, as well as academic references which would significantly improve any investment’s chance of success. Furthermore, unlike say a drop-out founder, pHD students have a huge opportunity cost. This is crucial because venture capital inherently has a big information asymmetry. Having worked on the project intimately for four years, pHDs with the high value they would command on the job market would be unlikely to be willing to continue working on a project they do not believe will be successful, even if its on someone’s else budget. This investment thesis turns on a number of key assumptions which need to be investigated. Technological progress in a significant number of industries follows the model of small, independent breakthroughs. Patents offer a legitimate exit strategy for these small breakthroughs. pHDs are under-funded and would benefit from more time, money and support to work on their projects. A variation of this might be to have to use prizes to incentivise teams and as Diamandis has done with XPRIZE leverage more investment and variation in approaches. Potentially if a cluster ideas where considered to be important for a big breakthrough you could have a prize for each and once each of those prizes was won and achieved then you could look to bring all those winning teams together to work on commercializing the collective product. A particularly interesting variation of this would be one where different teams share infrastructure. The idea for this came from how Elon Musk is building a hyperloop track for teams to test their pods on. Another interesting variation is to try and incentivise risk-taking but making sure that even in the case of failure there are still some positive returns. For example, pHDs after doing a normal pHD could apply to do a business pHD where they look to take their pHD and commercialize it. If it was done with co-operation with their university you could imagine a situation where even if the product fails the business pHD could write up about what they have learnt and go into the job market with the very valuable business skills he has learnt a long the way. When you are looking to invest in a start-up one of the key concerns is the founding team and in particular the CEO. Traditionally start-ups have had full time CEOs running the companies but I think there is potentially merit in dividing up the CEO role into two parts. The reasoning being the CEO plays two crucial but distinct roles. The first is more obviously running the company the second is less obvious, namely attracting both money and talent to the team. I would argue therefore, that one way to reduce the founder risk is to have an experienced founder as what I like to call a ‘Catalyst CEO.’ My inspiration for this is Elon Musk who is famously CEO of both SpaceX and Tesla. He is also Chairman of Solar City and is also building a track to help hyperloop pod designs be tested. The Catalyst CEO would, at most, only be able to work for 2/3 companies at a time but I think even having an Elon Musk type figure invovled, even if it’s just one day a week, I think would radically change the chances of success as well as the quality of talent and the amount of money that a project attracts. Of course to balance the Catalyst CEO who would play more of a strategic role you would need what I am calling a CEOO (a CEO variation of COO) who would be more involved in the day to day running of the company. It is worth pointing out that venture capital firms, it could be argued already play a (less hands on version of) the Catalyst CEO where being Andreessen Horowitz backed attracts both high quality employees as well as directly attracts capital. What I’m arguing for essentially is a more hands on VC. The aim would be to raise capital of the order of $100m plus to work on major problems in the world. Only invest in 1 company a year perhaps, with 10+ time scales. You’d probably make sure the person running the company has business experience etc. Another variation might be to remove the labour cost part of a start-up by offering free food and accomodation to founders. In return the founders give up equity much like in a traditional VC firm. One advantage of this is that the VC firm could simultaneoulsy invest in property as well as the start-ups themselves. 7) Re-structuring VC returns. Securization of investments. Finally you could imagine a system where each tier of investing sold out to the next tier. The thinking being that you can fundamentally change the risk profiles of early-stage investing where you’re exit is not the 1 in million chance that the start-up you’ve invested in will IPO but rather simply selling out all your equity to a Series A investor who in turn sells out all their equity to a series B investor and so in. Of course this is dangerously similar to securization where assets are bundled and then sold onwards but assuming that each tier did the proper due diligence knowing that, unlike in housing, they couldn’t immediatley sell on the equity they have bought and therefore the next tier VC knowing the same thing would do their due diligence I think you could help reverse the recent trend of later and less risky investments being the more popular ones. Returns are exponential so of the few start-ups that succeed only the biggest winners matter. ‘most important things to understand about startup investing, as a business, are (1) that effectively all the returns are concentrated in a few big winners… The first rule I knew intellectually, but didn’t really grasp till it happened to us. The total value of the companies we’ve funded is around 10 billion, give or take a few. But just two companies, Dropbox and Airbnb, account for about three quarters of it. Use the investment criteria of if this works could it become a $10 billion company? But of course the number and type of businesses which can be launched on a few hundred thousand dollars but with the potential of becoming multi-billion dollar companies are very small and limited. Thus it’s hardly surprising that VCs have a strong bias towards software based platforms because these are the only start-ups that fit their criteria. My assertion in this essay is that VCs have learnt the wrong lesson and in particular capital-intensive start-ups, where angel rounds may be in the tens of millions, could be very profitable. Whether I’m right or the VCs are right all depends upon why start-ups fail. This is actually an incredibly complex question where risks include founder/team risk, product risk, market risk, financial risk and execution risk. It is therefore not surprising that capital-intensive technology companies are deemed such terrible investments because in addition to all these risks you throw in significant technology risk plus much higher stakes (because they require more capital). What I would argue here though is that this is looking at the problem of VC investing from the wrong perspective and in particular it forgets the most important risk of all: competition risk. Companies, when they are small, understandably focus on a niche of the market but the problem is this gives the false impression of differentiation. What is hidden is that for these companies to succeed (which in terms of VC returns means being a multi-billion dollar company) there is going to be an incredible amount of convergence to similar problems. As every VC knows these markets are inherently winner takes all but every year hundreds of start-ups are funded where the long-run convergence is to the same billion dollar company/market. Using the above example where you have seven different start-ups this means that the long-run chance of success is already just 14% (=1/7) and that is assuming that at least one of the companies will succeed. If we take as given that no top VC is significantly better at choosing the long-term winner than another (which evidence suggests is the case) this means that there is a huge incentive to invest in companies that have no competition. Elon Musk’s story is remarkable because he invested in two industries which are both very capital-intensive and widely deemed to be very risky. Clearly Musk is a remarkable person but perhaps his story also speaks to a deeper truth which is that these capital-intensive industries for all the additional technology risk may actually have a better risk-reward profile than software companies because you can avoid competition risk. A friend from university recently wrote a blog post about working at a start-up as a non-tech person. Initially I had a violently negative reaction to what he wrote because he embodies the ‘no-conviction, chasing the trend’ type of behaviour that I hate (Peter Thiel’s classic example are MBAs). However, upon reflection I think I am probably wrong and that someone like him could probably add a lot of value to a start-up. Outside of the co-founders and the first few hires (<5-10 people) I’m not sure that passion for the particular business/product is actually that important, especially if it’s substituted with a general passion for an area of technology/business etc. Employee number 11 onwards are unlikely to be key decision makers around product or company direction and as consultancy and investment banking shows there are lots of really smart and driven people who don’t need to be passionate about something to work really hard at it. I think the problem then becomes how do you make start-up hiring that works for both sides? the (admittedly small) chance to become fabulously wealthy. Limited number of quality people want to join risky start-up. My solution to the hiring problem (particularly of non-specialist business or programming hires) for start-ups is to have an Entrepreneur First type programme but for founders rather than early hires. Graduates interested in working for start-ups would apply to our ‘Start-up graduate scheme’ just like they would for an investment banking job but rather than different divisions there would be different ‘competencies’ e.g. front-end developer, back end developer, sales/business, accounting etc. Of course these would be fairly loose given that in start-ups everyone is expected to muck in. The graduates when then be rotated every six months across four different start-ups which would allow both the start-ups and employees to find a fit that works for them with the approach them as longer term hires. For the two year period though, technically the graduates would be employees of the ‘Start-up graduate scheme’ not any given specific start-up. Finally, in addition to saying that they completed the 2 year ‘Start-up graduate scheme programme’ – a sort of practical MBA graduates could also over that time study for professional qualifications, take classes (maybe the graduate scheme could have 1 day a week of basic business, accounting, programming classes) and get high quality references from where they have worked. There are a number of advantages of this scheme. Get a prestigious qualification/signalling in addition to real world business experience. If the ‘Start-up graduate scheme’ is prestigious enough even if the 4 start-ups you join all fail (and no one ever hears of them) you still have good signalling. No one (including VCs) know how to ‘pick the winners’ of which start-ups will be a massive success, so the idea that early stage employees can do any better is of course ridiculous. If wages (including stock options) were tied to the portfolio of companies that the Start-up graduate scheme works with this would allow employees (even those not working for a specific start-up) to, despite only being able to work for one company at a time, diversify across a portfolio of start-ups. Of course if you are worried about incentives you could have a 50% start-ups you’ve worked at, 50% portfolio company returns etc. You can learn from different companies and cultures and the problems they face. I suspect after six months the learning curve (as most start-up tasks are mundane) slows down anyway. Although, there would be a learning curve for each new batch of employees every six months a lot of the tasks would be relatively simple and would still be a net time save (given less hiring time). A lot of employees skills are transferable e.g. sales, programming, accounting etc. With chance at prestigious qualification/CV builder can get higher quality people working at your start-up, earlier on and probably at a discounted price. This essay on Carlota Perez’s Technological Revolutions & Financial Capital is in three parts. Perez argues that technological revolutions should not thought of as a simple linear progression or as sprawling fractal stain of independent technological breakthroughs but instead as clusters of innovations that lead to ‘great surges of development’ that modernize the whole productive structure. Over the course of the (roughly fifty year) cycles there are two key relationships. Productive capital & financial capital. How do you objectively measure the degree to which technological change occurs by clusters? Maybe try and estimate the cost of developing a new technology and how that changes over time based upon breakthroughs in other areas? How do we tell where we are in the surge? For example the Nasdaq 2000 crash and the Dot com boom are taken as the ‘turning point’ but so is the 2007 housing bubble and following Great Recession. Why is the wave cycle 50-60 years? Is it function of technological cycles or the rate of change of our institutions? Perez offers a causal change of events but doesn’t not an explanation for the timing. If it’s the latter could we accelerate technological progress by making our institutions adapt quicker? Imagine, requiring everyone to go to university half-way through a career i.e. from age 18-22 and then again at age 40-44. Wouldn’t that lead to more rapid socio-economic institutional adaptation to each new surge? Are crashes/turning points a necessary evil? Can we not figure out a smoother way for our socio-economic institutions to adapt to each new surge? Is there a way of gauging what the next surge will be ahead of time? Or even what the current surge is now? If you define things broadely as software the surge may have a long-time to run but define it more tightly as hand held electronic devices maybe it has less time to run. Maybe the key is locating the pervasive low-cost input. What if next wave requires large fixed cost investments? The continuation of each wave requires that capital from the last wave in seeking out returns seeds the next wave. What if investors no longer maintain high expectations about returns and thus do not take risks investing in the new technologies from which the next surge will come? Isn’t investing in housing a fundamental ‘useless’ investment because it leads to no technological advances or potentially new surges? Could there potentially be multiple surges occurring simultaneously in different countries? A key assumption of the model is the high opportunity cost of capital such that it can only be directed towards one surge at a time. In that case why is the total amount invested in Silicon Valley venture capital (the engine of the current surge) so pitifully small when compared to the global financial markets. With all that capital out there seeking returns there should be hundreds of surges being funded simultaneously. Perhaps now you could have a surge in the United States in software technology and a surge in China in hardware technology occuring simultaneously. Maybe, this would mean that turning points/crashes could be endured more easily as they would likely be out of sync and thus the recessions could cancel each other out. In each wave socio-economic institutions and norms are held as undeniable truths but Perez argues they are merely working best practices for each surge. This is very freeing. What will next wave look like? What type of socio-economic institutions are best suited for the next wave? American democracy or Chinese autocracy? What if the next wave involves mass unemployment from the automation of low-skilled jobs? What kind of socio-economic institutions would be required to make that society work? What types of financial firms? Currently both equity investing and VC investing require very little domain expertise. For the former it’s about have a strong balance sheet and the latter an exponential growth curve. Maybe future venture capital firms will require STEM domain expertise. 3. Is there a way to keep financial capital and productive capital more aligned with each other? Is it primarily an information problem? Maybe there would be value in a massive database of start-ups and their profit streams? Is it an expertise problem where investors don’t understand the technologies they are investing in? Or is perhaps a future technology’s market size/economic demand the key unknowable? Direct democracy > representative democracy esp. with development of fast communication (e.g. the internet) and this should help diminish the affect of special interests. Laws have an infinite lifetime and an inertial effect – to counter this laws would automatically expire unless they are revoted as correct. Have a hysteresis where you require 60% but at any point 40% or more can remove the law. He argues that this measures will lead to a system that better represents the true will of the people. From my perspective, I think that direct democracy would be (as Elon concedes) a bit of anarchy and personally I believe in quite a paternalistic role for government. However his ideas of temporary laws I think solves a very interesting problem that the law increasingly faces which is that the time when clear laws are most valuable, which is the dawn of new technologies and industries lawyers are least willing to write laws because it is unclear how things are going to turn out. This leads to one of two outcomes both of which are negative. The first is that the technology develops in vacuum of regulation and legal framework and only once the technologies are fully formed and the markets are developed to lawyers come in to clean up the mess. The second possibility is, I would argue, even worse which is that without the legal clarity the technological progress doesn’t occur at all because entrepreneurs and investors need some assurances that they will be protected when inevitably there are mistakes and people get hurt. Yesterday I went, with a friend, to a very interesting LSE law lectureabout how to create laws with the rise of artificial intelligence and potentially sentient machines. The speaker Professor Andrew Murray argued that lawyers should have a seat at the table from the beginning. Obviously commercial lawyers would be too expensive but academic lawyers should look to create formal channels through which to have a dialogue with entrepreneurs and technologists. In my own small way, have faced these same problems where my startup – which relates to a new type of loan – faces a vacuum of legal regulation. This makes it is extremely difficult to raise money from investors because it is impossible for us to answer even basic questions like ‘is this legal?’ We have had the good fortune of talking with many prominent academic lawyers in the field but they too are at pains to stress that they cannot guarantee what the future laws will be and therefore can provide no assurances one way or the other. The result is as I have suggested above 1) we give up or 2) we continue but with an absence of legal guidance. The obvious solution is that academic lawyers should be able to assemble small teams of experts who for all the niche and developing technologies and markets write into law temporary laws and regulations (perhaps lasting just 5-10 years). This would force academics to transition from the sometimes ‘academic’ papers they write and wrestle with the real, practical trade-offs and come to the best consensus that they can but at the same time create sufficient legal certainty to allow entrepreneurs and technologists to continue. Crucially though this academic lawyers should not be optimizing for the long-term safety or protection of consumers but rather the safe development of the industry or technology. I would argue that the enactment of laws and the speed at which laws are put into place need to be thoroughly reconsidered. We seem to be moving into a society where the pace of change is ever increasing and if we are not careful we may find that where society needs the law the most the law is conspicuously absent.